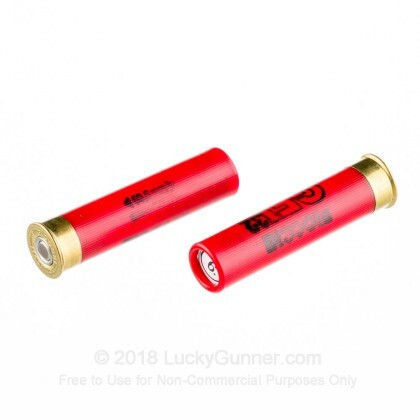 Fiocchi's 32 gauge 2-1/2 inch shotshell is a rare and hard to find round that can give life to your 32 gauge shotgun. 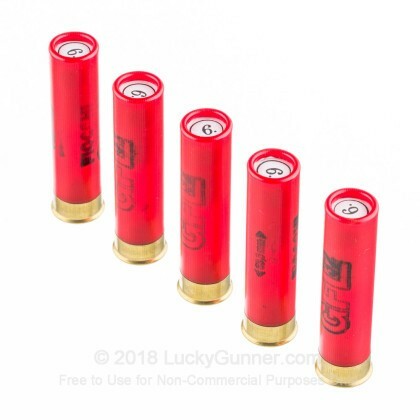 This shell is designed for upland bird hunting or small game such are rabbits. 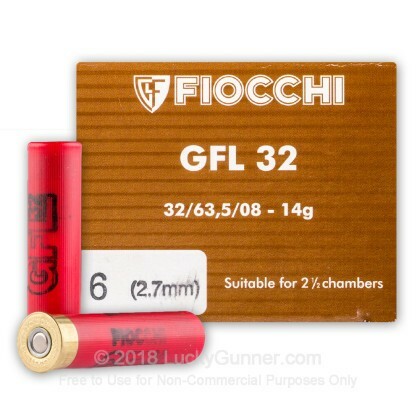 Fiocchi Ammo was established in 1872 by its founder Giulio Fiocchi. 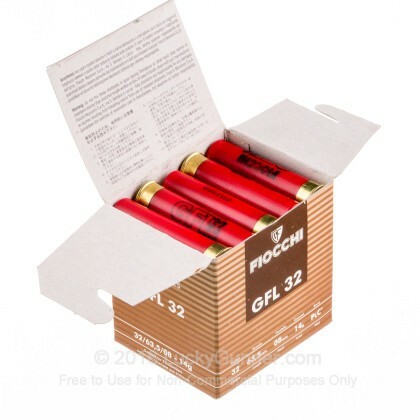 Known as a world leader is small gauge ammo, Fiocchi offers an array of products that suit the needs of target shooters, hunting enthusiasts, and the armed forces. 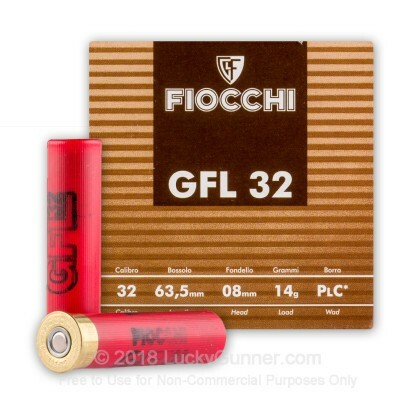 Fiocchi's products range from ammo for rifles and pistols, to fire pin shotshells and cartridges, and a wide product line of rimfire and centrefire cartridges and cases. 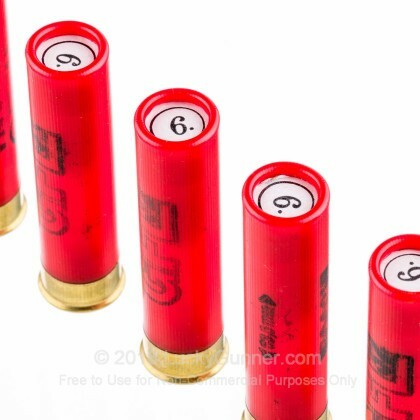 Outside of Italy, Fiocchi Ammo also has a presence in the U.S., Hungary, and Great Britain. Fiocchi has received a number of awards for their undying focus on quality. Some of the awards that Fiocchi has achieved include the NATO AQAP-110 Certification, the ISO Certification of the Environment Management System, and the UNI EN ISO Certification of the Quality Management System. Fiocchi Ammo is still entirely owned by the founder's family after being in business for over 130 years and the US operations is personally ran by Carlo Fiocchi himself!